Read the Latest News and Updates about worship at Westminster. We come together to seek and respond to God’s presence and to relate God’s Word to our lives and the world. In experiences of celebration, reflection, reverence, and prayer, we offer ourselves to God and are strengthened for the coming week of service and prayer. 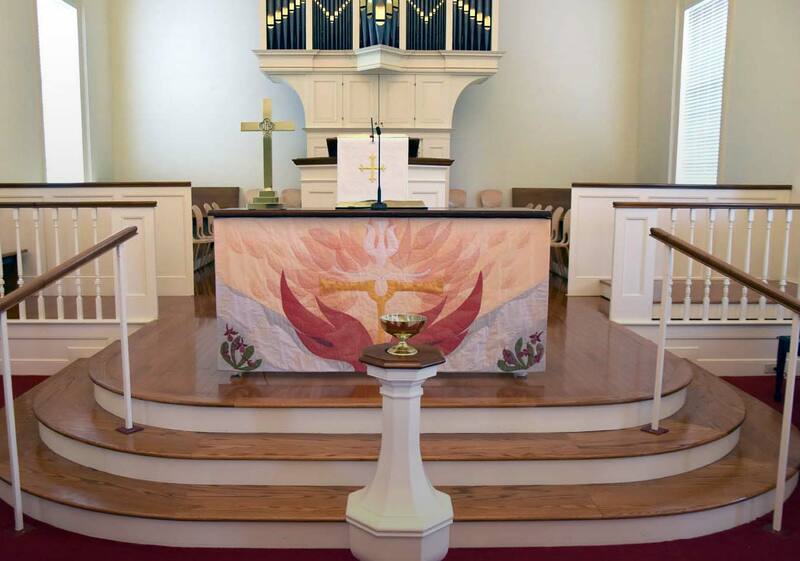 During the academic year, Sunday morning services are at 8:30 and 11:00 a.m. During summer months, worship changes to one service at 10:00 a.m..
We recognize that God transcends the limitations of our language and our community is committed to inclusive language. As a result, the words of hymns are occasionally changed and printed in the bulletin or Hymnal Supplement to provide more inclusive imagery. Families are encouraged to worship together when possible. Nursery care is provided by church volunteers and paid staff for children from infancy to first grade. A Comfort Room, equipped with speakers, is available downstairs under the Sanctuary. It is intended for use by adults with children in arms, for whom it becomes necessary to leave the service. Contact us to learn more about volunteer opportunities.